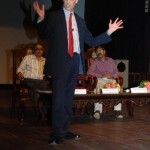 Dr. David Wiebers gave two Theory of Reality talks in Mangalore this week. 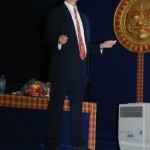 The first talk on November 6th at Alva College and Educational Foundation. 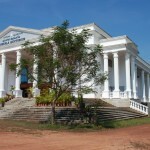 Alva College is a large, modern and extremely progressive educational facility with 25,000 students. 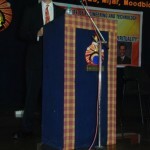 The talk was held at their Institute of Engineering and Technology where over 1000 students attended. 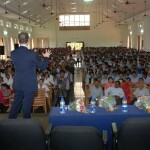 On November 7th, Dr. Wiebers gave a presentation at Mangalore University, which has over 200,000 students. 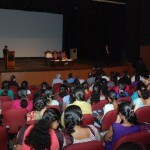 The talk was held in the majestic Mangalore Auditorium and was filled to capacity.